Having been a re-seller with Heart internet for many years i was getting fed up of all the down time of my clients websites for one reason or another. Due to this i made a decision, i needed to change. I was worried on how i was going to migrate all of my clients websites without causing further disruption,not to mention their email accounts. Well,here is where Jolt came to the rescue. Having read the so many reviews,not just on jolts website but independent reviews as well and finding such good positive things been said my mind was made up so i took the plunge and created a re-sellers account. Why Jolt and not anyone else, well the price for what you get is hard to believe but advertised was their help in migration from heart internet without any disruption, was a game changer for me - and a free service this was. Also advertised was their commitment within their support via a ticket system or live chat. 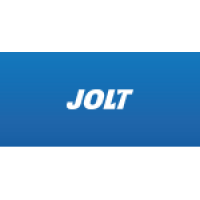 Been a new customer of Jolt i have used both methods extensively and i am ever so grateful for all their very fast reply's and help. Yes the websites transfers over from heart internet was how they said it would be.It was amazingly smooth,they did all the legwork,gave fantastic support through out. 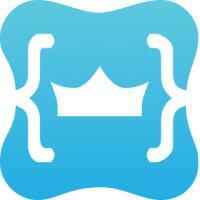 Would i recommend Jolt to anyone,well i very rarely write reviews but jolt deserve the praise i give. Did i mention they use ssd drives which makes for a faster loading website. Many thanks Jolt for been there when i was at a loss with heart internet and a massive thanks goes out to all your employees who was involved in helping me through the transition. Jolt are a credit to the industry.